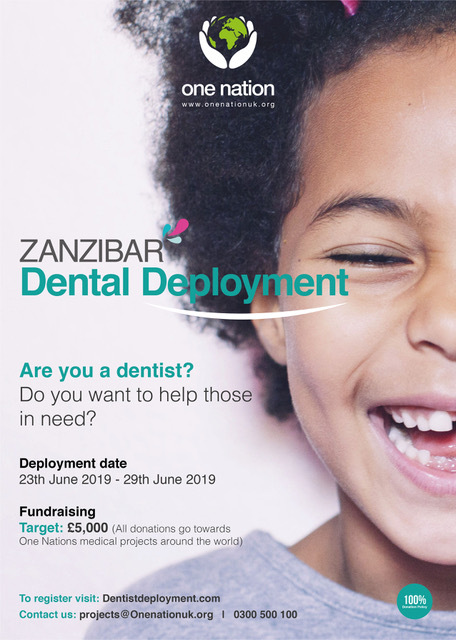 One Nation`s dental deployment provides volunteers with the opportunity to become fully invested in the delivery of aid and medical care to the poor and needy in Zanzibar. Our dental deployment offers an experience like no other as volunteers fundraise and join us to personally deliver aid into the hands of those who need it most. Are you a qualified dentist?